Dr. John Elefteriades is the William W.L. Glenn Professor of Cardiothoracic Surgery and Chief of Cardiothoracic Surgery at Yale University and Yale New-Haven Hospital. He is among the most clinically active academic surgeons in the country. He performs all aspects of adult cardiac and thoracic surgery. He is a recognized authority in interventions for the failing left ventricle, including coronary artery bypass grafting, left ventricular aneurysmectomy, and artificial heart implantation. 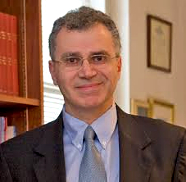 Dr. Elefteriades directs the Center of Thoracic Aortic Disease at Yale. He conducts laboratory research in new techniques of heart transplantation. Among his research projects, he is working with Celera Diagnostics to identify the genetic mutations responsible for thoracic aortic aneurysms. Dr. Elefteriades serves on multiple scientific advisory and editorial boards. He is a past President of the Connecticut Chapter of the American College of Cardiology and member of the national Board of Governors of the College. Dr. Elefteriades is also past President of the International College of Angiology. He serves on the editorial board of the American Journal of Cardiology, the Journal of Cardiac Surgery, Cardiology, and the Journal of Thoracic and Cardiovascular Surgery. He is a member of the Thoracic Surgery Director's Association and has been named consistently in The Best Doctors in America. He is a frequently requested international lecturer, visiting professor and guest surgeon. 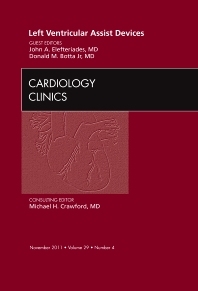 He is the author of over 200 scientific publications on a wide range of cardiac and thoracic topics. He was selected as one of the ten best doctors in America by Men’s Health magazine. He has been featured in many dozens of print, radio, and television presentations. He has been awarded the Walter Bleifeld Memorial Award for Distinguished Contribution in Clinical Research in Cardiology and the John B. Chang Research Achievement Award. In 2005 he was selected to lecture at the Leadership in Biomedicine Series at the Yale University School of Medicine. In 2006, he received the Socrates Award from the Thoracic Residents Association, Thoracic Surgery Directors' Association, and the Society of Thoracic Surgeons, recognizing exceptional achievement in teaching and mentorship of residents.